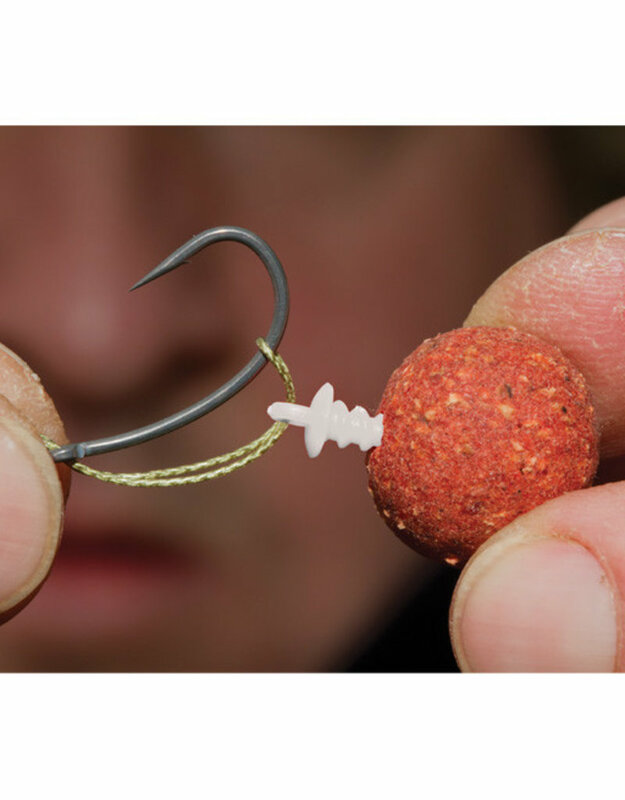 Any carp angler who has tried to attach a pop-up bait to a chod or a ‘D’ ring rig will know just how fiddly it is, but here is the perfect, easy to use, simple to attach, perfect alternative – the ACE Pop-Up Pegs. Once placed upon your Chod or ‘D’ ring rig you can simply screw your pop-up boilie directly on to the ACE Pop-Up Pegs. It really is that simple. The screw thread is coarse, ensuring the bait is gripped securely, providing 100% confidence the bait will remain in place even through the most powerful cast. And the concave disk that surrounds the screw moulds to the outer shell of the boilie preventing water ingress and keeping your boilie afloat.